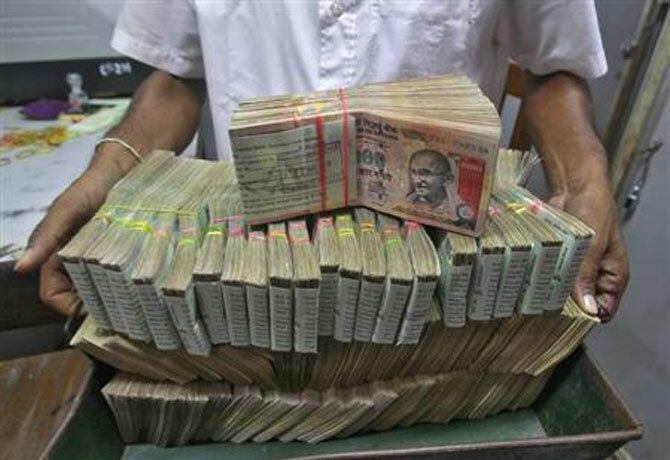 Rediff.com » Business » What actually saved the rupee? What actually saved the rupee? The near-crisis witnessed this year will be the subject of many future exegeses. “History is that certainty produced at the point where the imperfections of memory meet the inadequacies of documentation,” says a character in Julian Barnes’ Booker-winning novel, The Sense of an Ending. Pre-empting the writing of such ‘certain’ future histories requires exploiting the objectivity that recency provides, to get the facts down, straight and quick. What happened to the rupee between May and October? What helped? What hindered? The evolution of the rupee, illustrated in the graphs, allows four hypotheses to be tested. (1) Raghuram Rajan turned the rupee around. The popular view is that leadership change at the Reserve Bank of India changed the fortunes of the rupee. And there is truth to this. As graph 1 shows, there was a big upward move in the rupee the day after Raghuram Rajan formally took charge as governor of the RBI. And the upward climb of the rupee has been maintained since Dr Rajan’s appointment, helped by his policy announcements and actions. But was this the whole story? (2) External events, not domestic actions, played the decisive role. In this view, the rupee was a victim during the summer of the broader re-assessment of emerging markets, following the US Federal Reserve’s announcement that it might soon wind down (“taper”) its unconventional monetary policy stimulus. By the same token, the rupee would have benefitted from the growing doubts after August about the fact or magnitude of the Fed taper. If this hypothesis were true, one should see broadly similar movements in the currencies of the five major emerging markets that were particularly buffeted by external developments. Graph 2 shows the evolution of the currencies of the five fragile emerging market economies during the same period. There is indeed a broad pattern. All five currencies declined after the Fed’s May announcement. And with the exception of Indonesia, all currencies bottomed out around the same period, and have recovered since. The rupee declined more and hence also recovered more. But one could come away from graph 2 with the conclusion that the rupee’s exchange rate was broadly shaped by external events, much more so than domestic factors. (3) Conventional defence of the rupee through monetary tightening failed. 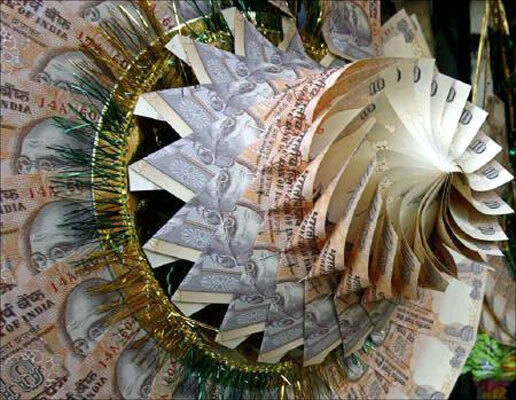 On July 15, as the rupee started tumbling, the government announced its own peculiar version of monetary policy tightening to defend the rupee. It tightened short-term interest rates (the marginal standing facility) by two percentage points without changing the key policy repo rate. As graph 1 shows, this action had no permanent impact on the rupee, which, after a short blip up, kept sliding till August-end. It is true that this policy tightening was half-hearted because officials in the RBI and the ministry of finance sent mixed signals about its desirability and durability. In a government securities auction immediately after the action, the RBI in fact rejected high-interest bids. The advice given to the government -- from outside and within -- to target the exchange rate was bad for both substantive and political reasons. The interest rate defence was based in part on the assumption that a depreciation would not help much in improving the current account deficit. Leading up to the crisis, investment bank after investment bank peddled this exchange rate pessimism. But such pessimism has not proved warranted elsewhere, and is unlikely to prove valid in India. Indeed, the recent increase in exports and service sector profits and decline in imports may be early signs that the rupee depreciation is beginning to produce the expected effects. The interest rate defence was also badly designed in focusing only on some lending (short-term and not government securities and other bank lending), ignoring the obvious fact that liquidity is fungible. If you have to tighten, that needs to happen across the board. Politically, the advice to tighten was misguided because it was obvious to all market participants that the government was deeply conflicted on raising interest rates. That meant that the interest rate defence was not credible and hence could not be sustained. (4) Unconventional defence by lending foreign exchange to public sector oil companies worked. Look at graph 1 closely, and it is evident that the rupee bottomed out at 68.8 per dollar on August 28, even before the new governor of the RBI took charge. On that day, the government in collaboration with the RBI announced that it would provide dollar loans to the oil companies. Thereafter, the rupee climbed upwards, aided by the fact that the balance-of-payments picture started to change significantly in September as gold imports were squeezed and as the economic slowdown took its toll on imports. But why did the provision of loans to the oil companies work? First, it essentially took the big demand for dollars from these oil companies (about $8.5 billion per month) out of the foreign exchange market, which immediately lifted rupee pressures. Second, the action was not to sell but to loan dollars to these companies. Ordinary sales would have tightened rupee liquidity in the market (because oil companies would have had to give rupees to the RBI in return for dollars). This tightening would again have raised a clamour of disapproval from the private sector and the government based on its adverse growth impact. 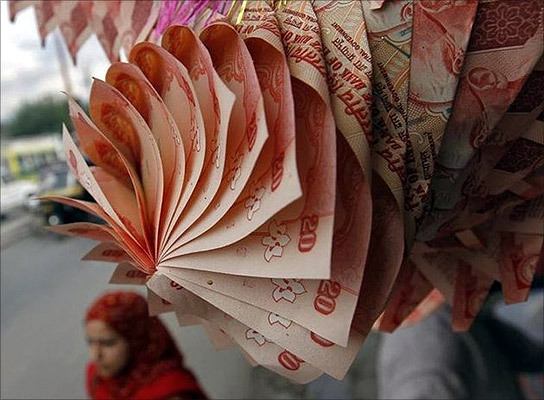 Image: Rupee notes are stapled to form a garland at a market in Srinagar. The puzzle was why such non-contractionary (‘sterilised’) foreign exchange intervention worked. The international experience suggests that sterilised intervention to defend a currency, especially during crises, tends to be ineffective or counterproductive. Essentially, the party receiving the foreign exchange can speculate against the currency in many ways; for example, an importer can deposit the foreign exchange overseas, while using his rupee funds to pay for his dollar bills. In this case, the loan does nothing to alleviate currency pressures. But it worked in India because the parties receiving the dollars -- public sector entities -- were liable to moral suasion by the government. Effectively, the RBI had become an import financing company, helping to pay for public sector imports with its foreign exchange reserves. 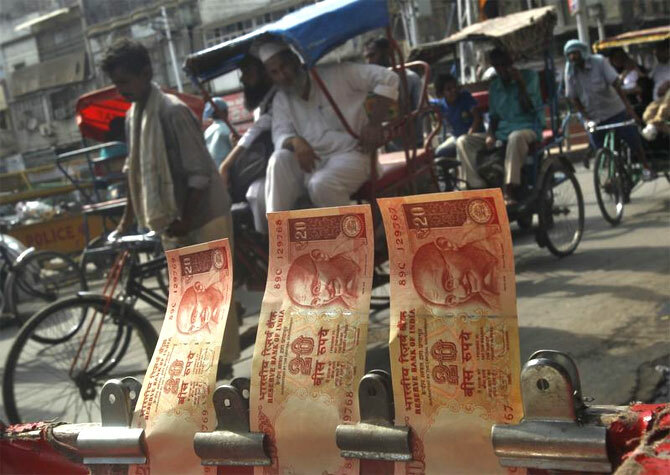 An India-centred perspective on the recent rupee crisis offers two strong lessons. Half-hearted and partial policy tightening in defence of the rupee was an unmitigated failure. Second, a very peculiar Indian case of sterilised intervention -- which failed in other crises and is generally proscribed -- actually worked. But a broader cross-country perspective suggests that all the domestic angst and actions may have been overdone because in the end they were subordinate to external events. Welcome to the new, financially globalised Indian economy, pitfalls, risks, and all. 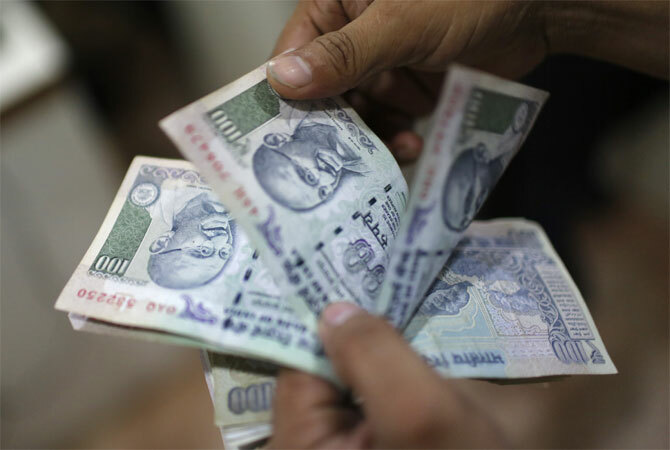 Will the rupee appreciate sharply from current levels?